Salt Yoga is a gorgeous yoga studio (which contains no actual salt, that’s just our name!) located in Christies Beach, South Australia. I’m ready to come to a class, how do I book? We have an online booking system which you can access via this link. When you have created your login you’ll be able to book and cancel classes and also purchase your class passes online (you can buy them at the studio too, we take cash or card). I’d rather not book online, can I just come along? You’re definitely welcome to just rock up! Please make sure you arrive 10 minutes prior to the class start time so there’s enough time to get you signed in and situated. Some classes do book out and if there isn’t enough space then we’ll give priority to those who booked online. Can I just pay for my class when I get there? Yep! We have casual class passes available at the studio for $20 (cash is preferred but we can take card in a pinch). You can also pay for any of our other passes with cash or card at the studio. We don’t, but we do have a $25 unlimited week of yoga pass which is great if you want to try a few classes. When should I arrive at the studio? The studio will open 15 minutes before the class time shown on the timetable. We recommend arriving 5-10 minutes prior to class start time so you can sign in and get settled. Please note that class starts right at the time shown on the schedule and you may not be admitted if you arrive after this time (it’s up to your teacher). There’s lots of parking available in the carpark behind the studio (accessible via the lane between the studio and CJ’s Bakery) and we’d appreciate you using this area whenever possible. We love our neighbouring businesses and want their customers to have easy access to the street parking while you spend time in your class. Is the studio heated and cooled? Most of our classes are practiced at “room temperature”. We have great air-conditioning which means we’re open throughout summer (even on the hottest days) and have radiant far infrared heating which will keep you comfortably cosy in the winter. Wear comfortable clothing that is not too loose or too tight. If you prefer to wear loose fitting clothes then layer a fitted tank top or similar underneath. For men we recommend wearing compression (bike) shorts with board shorts or running shorts. For women please be aware that not all leggings are created equal. Yoga is practiced with bare feet so please come prepared to remove your shoes and socks. It’s good to bring a bottle of water and your yoga mat if you have one (if you don’t we have some that you can borrow, a mat rental fee of $2 per class applies). We’d appreciate it if you limited your use of perfumes and/or scented products prior to your class. Phones will need to be turned off during class so you may prefer to leave yours at home or in the car. If you have a yoga mat then please bring it, we also have rental mats available at the studio for $2 per class. We have yoga mats for sale at the studio for $25. Head over to our beginners page for lots of information about the best choices for beginners. If you still have questions then please get in touch, we’re more than happy to help you find the right class! You might like to check out this video we made showing you what to expect at the studio and some of the things our students appreciate about the way we do things at Salt Yoga. Maybe! We love introducing yoga to the next generation and don’t have a one-size-fits-all policy on bringing children. If you think your child can be respectful of the class and do their best to participate (while not distracting other students) then they’re welcome to join us. Be aware that most yoga classes end (and possibly start) with 10-15 minutes of complete stillness and silence. We understand kids can be a bit fidgety (so can adults!) but the expectation is that they can endeavour to control their actions so that others can fully benefit from this important time. Please contact us if you would like to discuss specifics, we’re always happy to talk things through. How can I find out more about the different types of classes? You can find class descriptions via the booking system (just click on the class that you’re interested in). If you still have questions about the different types of classes and their suitability for your needs then don’t hesitate to get in touch. You can also read a great article about our classes here. Can I pop in and see the studio? The studio is not staffed outside of class times. You can come by before a class (within 15 minutes of the class start time) and have a quick squiz and a chat to the teacher. This is possible after classes too however teachers often have to get going soon after their class finishes so they may not be able to stick about for long. Please note that we are unavailable (and the studio will be locked) during classes. There are also lots of pictures of the studio on Facebook and Instagram which might help you get a feel for our space. We also shot this great little video which really sums up the vibe. Can I host an event/workshop/class in your studio? 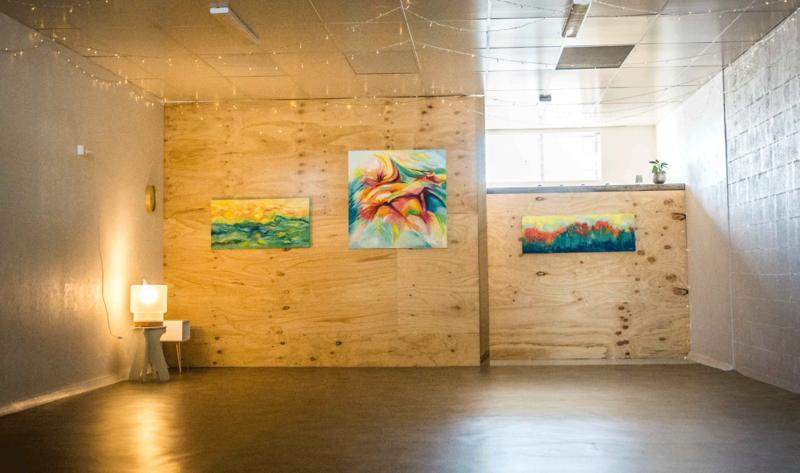 The studio is available to hire and we would love to chat about possibilities. Get in touch to find out more about our rental rates and whether your offering would be a good fit. We know you’re not perfect and we absolutely want you to come anyway! All of our teachers are super friendly and down-to-earth. We’re very serious about teaching great yoga but even more serious about making you feel welcome and getting what you need from your yoga experience. Seriously – come as you are! I went to yoga once and didn’t like it, why should I try again? There are so many different styles of yoga and sometimes it takes a few tries to find one that works for you. We have a one week unlimited pass that will let you try a bunch of sessions for $25. If you know what you’re looking for from a yoga class then send me a message and I’ll match you up with a good fit. Do you have a Facebook or Instagram page I can follow? We do! 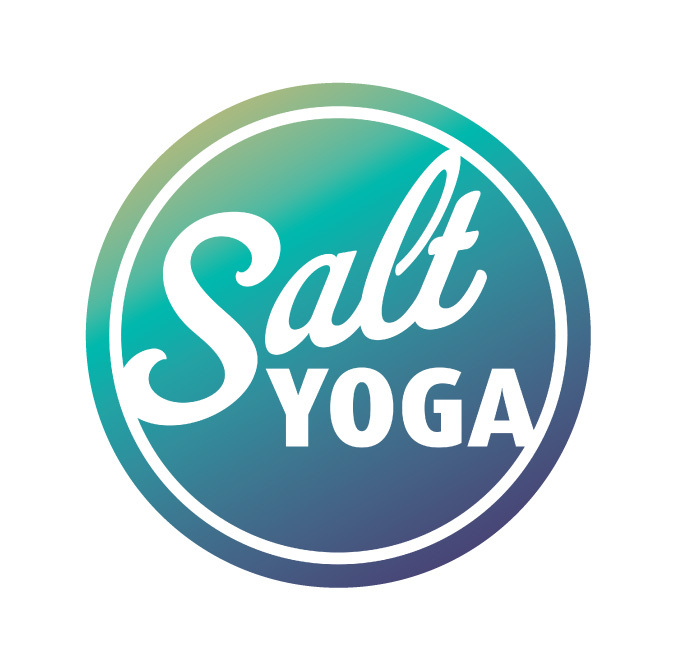 You can find us @saltyogaaustralia on both Instagram and Facebook. We also have a newsletter that comes out about once a month, you can get on our mailing list here.